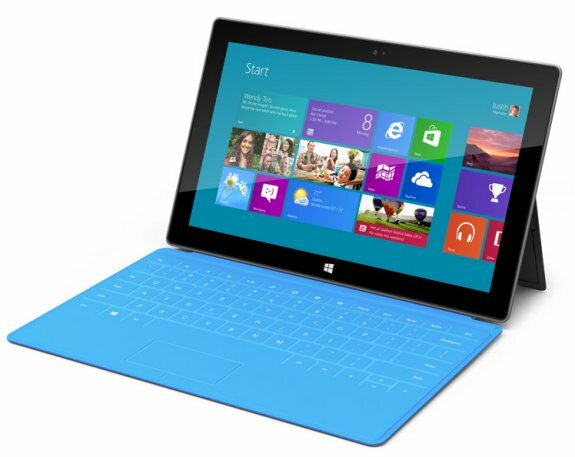 Microsoft Surface tablets to start at $599? DigiTimes heard rumors that Microsoft's Surface tablets will be manufactured by Pegatron Technology, but that there's still not a firm estimate for order volumes. Additionally, the site also got to hear that the Windows RT model will be priced over $599, while the Windows 8 Pro-based version with Ivy Bridge processor will cost at least $799. The sources pointed out that the industrial design of Microsoft's Surface tablet PCs should attract consumers in the enterprise market, but their high prices are expected to become the biggest obstacle in the market. The sources also pointed out that the Surface tablet PCs have successfully attracted the attention of consumers, but the strategy also means that Microsoft will directly compete against its downstream partners in the Windows-based tablet PC market. Since Microsoft is only expected to receive limited profits from its own-brand tablet PC products, while greatly offending its clients, the strategy that Microsoft has taken is rather risky.